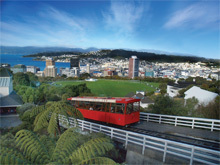 Most of Wellington City Council’s IT system runs in a modern Windows environment, but rate payments, an important customer-facing service, were reliant on 20 year-old VAX and Alpha systems, which were close to the end of their useful lives. The Council’s IT department did not wish to incur the high cost of rewriting the software applications running on the original VAX and Alpha systems in order to transfer these functions, as well as the large amount of stored data that related to them to a new Windows environment, since all Council IT budgets were under pressure as a result of the current economic downturn. The challenge was to find a low-cost, yet highly efficient solution that would upgrade the aging legacy hardware, while adding a new level of back-up security in order to protect sensitive ratepayer data and financial records, including linking the functionality of the legacy system to a new HP EVA SAN and enabling data replication on a modern Disaster Recovery Site. supplied by United Business Solutions Professional Services (UBS) as the preferred solution. house and UBS is more than happy to work with them. transition to the new system by the Council’s customer-facing and data entry personnel. Site to protect confidential ratepayer data and essential financial records.